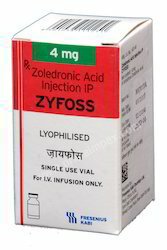 Wholesale Trader of a wide range of products which include leucovorin injection, oxitan 50mg injection, oxitan injection, thalix capsule, topotel injection and trozet tablet. 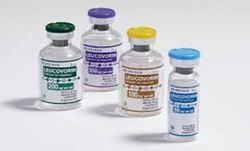 For the diverse requirements of our clients, we offer an effective quality of Leucovorin Injection which is cancer medicine & used as an antidote to the harmful effects of methotrexate, offered product is precisely processed by quality ingredients keeping in mind the set medical standards. Our honored clients can avail this product from us at reasonable price within a promised time frame. Being a quality-driven organization, we are actively committed towards offering Oxitan Injection. 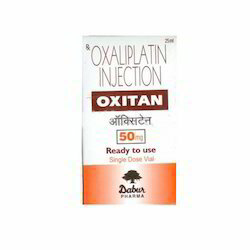 Used in the treatment of cancer & should be used under doctor’s prescription only, the offered oxitan injection is tested in terms of quality so as to supply a quality range. This oxitan injection is processed by making use of best ingredients by our skilled professionals. Owing to our expertise, we are offering clinically approved Oxitan Injection. Offered oxitan injections are used in treating metastatic colon or rectal cancer & tested on several quality parameters in order to supply quality range at the customer’s end. 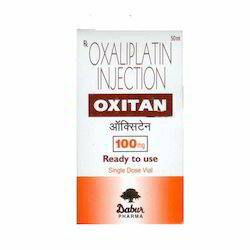 These oxitan injections are provided in best packaging options. We are offering these oxitan injections to customers in bulk counts as per their needs. 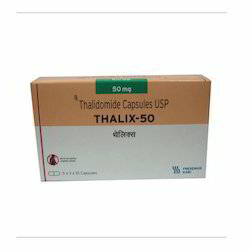 Thalix 50 mg capsule modulates the activity of body's immune system and helps indirectly attacking the cancer cells. It also stops the growth of blood vessels in cancer. COMPOSITION : Each ml contains: Topotecan hydrochloride IP equivalent to Topotecan 1 mg Water for Injection IP q.s. 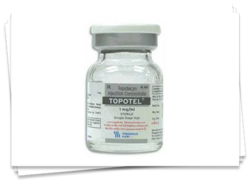 INDICATIONS : Topotel(Topotecan Injection Concentrate) is indicated for the treatment of : Metastatic carcinoma of the ovary after failure of initial or subsequent chemotherapy Small cell lung cancer sensitive disease after failure of first-line chemotherapy PRESENTATION : Topotel (Topotecan Injection concentrate) is available in pack containing 2.5 mg of Topotecan, as a sterile injection. 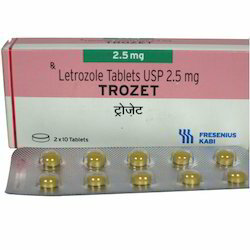 Trozet 2.5 mg tablet lowers the amount of estrogen (natural female hormone) produced in the body. This can lower or stop the growth of some breast cancer cells that need estrogen to grow. 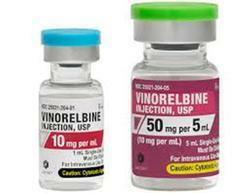 Vinorelbine is used to treat various types of cancer. It is achemotherapy drug that works by slowing or stoppingcancer cell growth. Vinorelbine is given by injection only into a vein by ahealthcare professional. It is usually given over 6-10 minutes, once a week, or as directed by your doctor. The dosage is based on your medical condition, response to therapy, and body size. 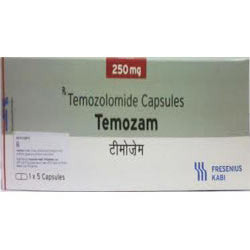 Temozam 250mg capsule works by damaging the genetic material (DNA) of the cancer cells and stops their growth and multiplication. We are counted among the leading wholesaler, distributor, trader and supplier of high quality Leucovorin Calcium Tablets. Used in cancer chemotherapy involving the drug methotrexate, the offered tablets are tested on numerous quality parameters by vendor’s quality controllers for dispatching a flawless range. These tablets are well processed by using the top grade ingredients and sophisticated technology, in compliance with the medical standards. Looking for Fresenius Medicine ?